Basel Egyptologists of the University of Basel Kings’ Valley Project have been working on tomb KV 40 in the Valley of the Kings close to the city of Luxor for three years. From the outside, only a depression in the ground indicated the presence of a subterranean tomb. Nothing was known about the layout of tomb KV 40 nor for whom it was built or buried there. Close to the royal tombs in the Egyptian Valley of the Kings, excavations by Egyptologists from the University of Basel have identified the burial place of several children as well as other family members of two pharaohs. The scientists discovered mummified remains of at least 50 people in the center chamber and in three side chambers. Based on inscriptions on storage jars, Egyptologists were able to identify and name over 30 people during this year’s field season. Titles such as “Prince” and “Princess” distinguish the buried as members of the families of the two pharaohs Thutmosis IV and Amenhotep III who are also buried in the Valley of Kings. Both pharaohs belonged to the 18th dynasty (New Kingdom) and ruled in the 14th century BC. The analysis of the hieratic inscriptions (related to hieroglyphics) revealed that tomb KV 40 contains the mummified remains of at least 8 hitherto unknown royal daughters, four princes and several foreign ladies. Most of them were adults, however, mummified children were also found: “We discovered a remarkable number of carefully mummified new-borns and infants that would have normally been buried much simpler”, describes Egyptologist Prof. Susanne Bickel the findings. Remains of later burials in the proximity of the royal tombs gives the team of researchers important insight into who had the privilege to spend eternal life close to the pharaoh. “Roughly two thirds of the tombs in the Kings’ Valley are non-royal. Because the tombs do not have inscriptions and have been heavily plundered we so far have only been able to speculate on who lies buried in them”, explains Susanne Bickel. Even though the tomb was looted several times in Antiquity, as well as at the end of the 19th century, the researchers found countless fragments of funerary equipment, such as fragments of coffins and textiles. 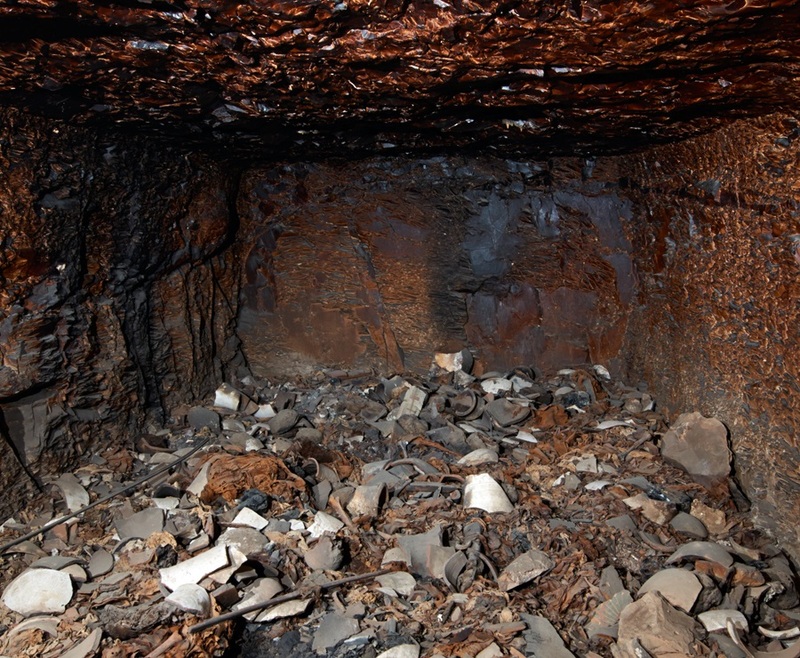 “The remains and the walls have been heavily affected by a fire that was most likely ignited by the torches of the tomb raiders”, suspects Susanne Bickel. The fragments of various wooden and cartonnage coffins indicate that tomb KV 40 was used a second time as a burial ground: long after the abandonment of the valley as royal necropolis, members of priestly families of the 9th century BC were interred here. Anthropological analyses as well as further examination on the burial goods will deliver important insight into the composition of the pharaonic court of the 18th dynasty as well as the conditions of life and the burial customs of its members.